Rev. 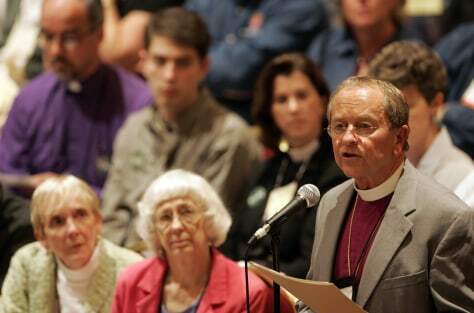 Gene Robinson, the first openly gay Episcopal bishop, right, speaks to the top policymaking body Wednesday night in Columbus, Ohio during the Episcopal General Convention. Overseas Angelican leaders said differences over homosexuality could lead to further splits in the Angelican church.